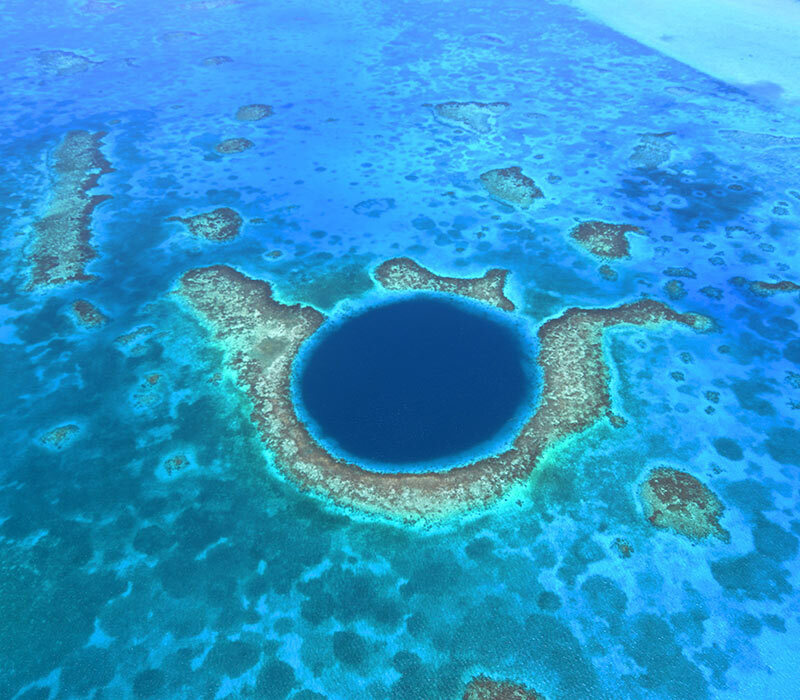 Explore Belize’s most iconic dive site, the Belize Blue Hole. A rare and wonderful dive, the Great Blue Hole is a perfectly circular hole surrounded by coral edges and filled with stalactite and limestone cave ridges to depths as deep as 400 feet. While the snorkelers explore the fringing reefs, divers descend along the wall to a depth of 130 feet. At the depth of 120 feet, divers can clearly see the stalactites which were formed from dripping water when the cave was above sea level. The second dive is done at the Half Moon Caye wall which is known for its abundance of marine life. The seascape is covered with coral sponges, sea fans and a variety of coral which makes for a kaleidoscope of colors. Between our second and third dive, you will visit the sandy shores of Half Moon Caye for lunch on the beach. The most famous inhabitants of this island are its red-footed boobies and frigate birds which nest on the caye. The third dive is done at the “Aquarium.” The site is named for the wide variety of small resident reef fish on the reef top and along the edge of the wall. Distance: This excursion begins early, leaving at about 6am and returning about 5pm. It is located 65 nautical miles from Placencia, approximately 3 hours boat ride.